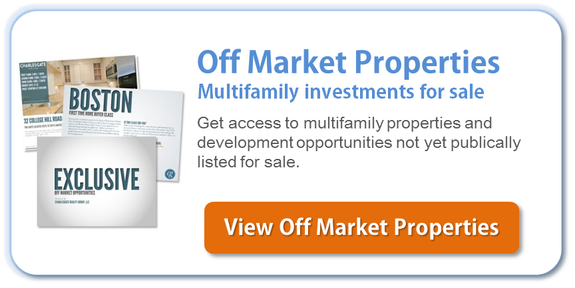 Interested in the Boston multifamily market and how it is changing? Our multifamily specialist, Bobby Quinn, answered a few questions for us about what he sees as he works with investment clients each day. What do you think? What shift in the market did you see in 2014? 2014 saw a continued inflow of capital from all over the country and the world. As a result, more new apartment buildings went into the ground than I have ever seen before. There was also continued depression in cap rates and prices kept going up. The demand was as strong as ever and supply is still constricted. Do you think this will follow into 2015 or what will change? I think that conditions have to change a bit in 2015. Demand will continue to outpace supply, but savvy sellers have to realize that we are going to see interest rate appreciation in the near future and, if they are thinking of cashing out, we are at or near the optimal time to do it. We are working with buyers all over the Boston area who are looking for properties and are linking these sellers with these buyers daily. What are you most excited about in the Boston multifamily market in 2015? I am most excited about the opportunity I see in small to mid rise building’s as I think that the high end luxury building market is going to be sluggish as so much inventory came on line in the past year. These buildings are all competing for the same tenant base, (which I spoke about in an article a month ago). Charlesgate Multifamily focuses mostly on brownstones and 10-20 unit buildings which, in my opinion, attract a different consumer, and will not face as much competition as the larger luxury buildings. Always hard to tell what effect the speculators have. But where financial players had a very clear effect was in the currency markets (much easier to store those ones and zeros than barrels of oil.) The dollar index fell as low as 72.5 in 2008 and then surged to 90 in the 08-09 meltdown which made the fall in the price of oil seem far more dramatic than it was on a global basis. May24 Thanks for your marvelous posting! I truly enjoyed reading it, you may be a great author.I will remember to bookmark your blog and will eventually come back someday. I want to encourage you to ultimately continue your great job, have a nice weekend!